Plenty to do in the neighborhood. 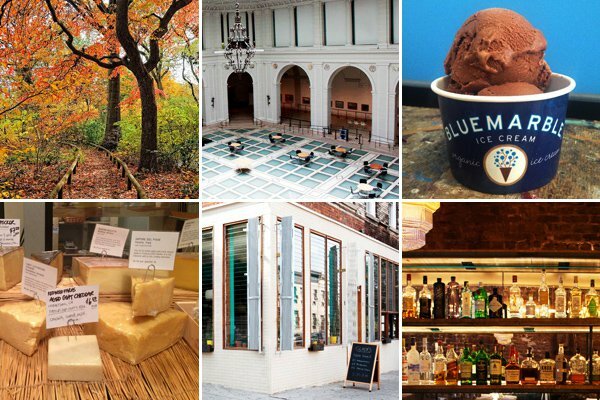 Photos courtesy of Brooklyn Botanical Garden, Brooklyn Museum, Blue Marble Ice Cream, Wedge, Glady's, and Mayfield. Brooklyn native and Fathom contributor Devorah Klein Lev-Tov walks us through the super cool up-and-coming neighborhood. PROSPECT HEIGHTS/CROWN HEIGHTS, Brooklyn – Prospect Heights has slowly but surely been prettying itself up in the last decade, and now neighboring Crown Heights is finally doing the same. While both areas have a lot to offer in the way of interesting ethnic enclaves, delicious restaurants, and cool performance spaces, the border area that some real estate agents have unfortunately taken to calling "ProCro" is a hotbed for new businesses that co-mingle with classic Caribbean joints and cultural institutions. If you're not up for standing in line at the iconic Tom's Restaurant (782 Washington Ave.; +1-718-636-9738), hop across the street to recent addition Sunshine Co., opened by the owner of the popular Milk Bar on Vanderbilt. Try the baked eggs with pesto and grilled zucchini or the brussels sprout hash served with bacon, poached eggs, and toast. Photo courtesy of Five Myles. Now that you're satiated, it's time to feed the brain. 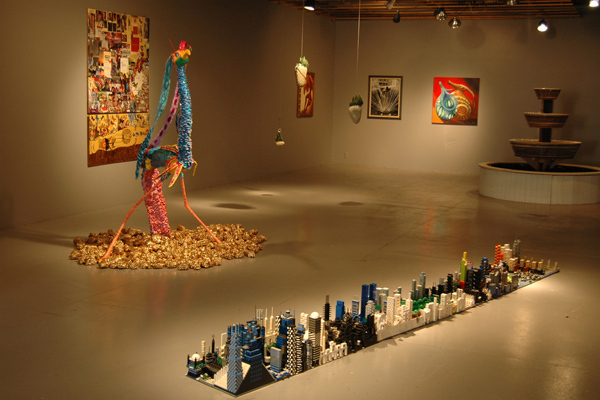 The Brooklyn Museum is the mecca for art in Brooklyn, but tiny gallery Five Myles features emerging local talent and hosts the Crown Heights Film Festival in October. Ride the carousel at Prospect Park. Photo by edenpictures / Flickr. Stop by cheese and provision shop Wedge for picnic fare — pick up a prepared basket if you feel paralyzed by all the options. Take your goodies to the Brooklyn Botanic Garden, which is free on Saturdays before noon, all day Tuesdays, and winter weekdays (November–February). 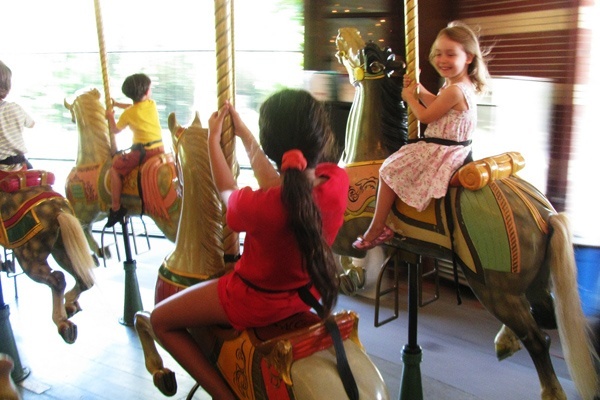 If you're with the kids, take a ride on the carousel in Prospect Park or visit the adorable Prospect Park Zoo to see red pandas, sea lions, and baboons, and feed alpacas, goats, and sheep. Locals are obsessed with Blue Marble Ice Cream, where everything is organic and responsibly made. The flavors rotate, but strawberry, green tea, and cinnamon are personal favorites. For a healthier snack, I love the Rasta-run Natural Blend for authentic and vegan Jamaican patties and fresh-squeezed juices. Photo courtesy of Color Bklyn. Kooj is a brand new clothing and accessory boutique with everything handmade by designer Christy Luo, who specializes in custom bathing suits. The new Color Bklyn, from the owner of Stewart/Stand in DUMBO, sells stationary and gifts, and plans to offer workshops. 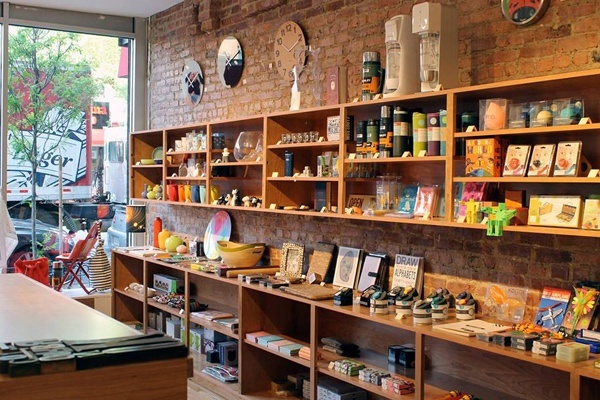 Stork stocks premium baby goods, Rosebud Vintage has a curated selection of vintage clothing and shoes, and Owl & Thistle General Store is a cute gift shop with lots of Brooklyn-made items like NuNu Chocolates, Claudia Pearson tea towels, and Albertine Press note cards. Refuel at the charming Little Zelda with an iced coffee and peanut butter cookie from Ovenly. 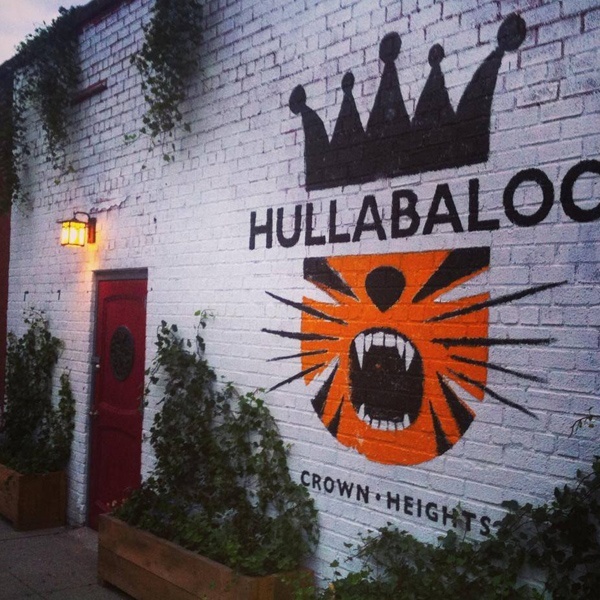 Owner and local resident Michael de Zayas is almost single-handedly leading the Crown Heights revolution with his four (so far) neighborhood businesses, including the aforementioned Little Zelda and Wedge, nonprofit community play space It Takes a Village, and the recently opened Hullabaloo Books. Photo courtesy of Hullabaloo Books. Swing by Launchpad and see what events they have this week — the space hosts concerts, art exhibits, reading groups, clothing swaps, and craft circles. Then head over to Glady's in time for happy hour: Order the classic grilled cheese and a michelada (a perk-you-up mixture of beer, Tabasco, and lime juice). Stop by Franklin Park for a game of skeeball to burn off the calories. Grab a pre-dinner cocktail at the Prohibition Era themed Tooker Alley; the Woody Guthrie is a favorite for fall. For a romantic Italian dinner, head two doors down to Bar Corvo, owned by the same folks that run al di la Trattoria in Park Slope. Or, for some of the best jerk chicken in Brooklyn, walk a block to The Islands (803 Washington Ave.; +1-718-398-3575) and make your way up the ladder to what has got to be the most intimate dining room in New York. Photo courtesy of The Way Station and Mayfield. 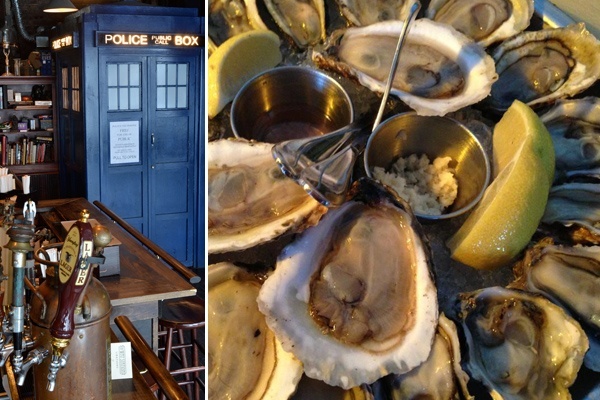 After dinner, inaugurate a Washington Avenue pub crawl with stops at Washington Commons, The Way Station, 706 Bar (706 Washington Ave.; +1-646-456-8444), Bearded Lady, The Saint Catherine, and Atlantic Co. — if you can make it that far. End the night at Southern-influenced bar and restaurant Mayfield, where an order of spoonbread and cornmeal fried oysters will stave off your hangover. Subway: Take the 2/3 train to the Eastern Pkwy/Brooklyn Museum stop, or 2/3/4/5 train to Franklin Avenue. Bike: Cycle there via the newly upgraded bike lanes that make going through Grand Army Plaza slightly less terrifying. Devorah is a writer and editor living in Brooklyn who travels and eats her way around the world. She travels for the quirk.